One of our top picks in Tbilisi. Apartment on Besik Street 4 is a self-catering accommodations located in Tbilisi. FreeWiFi access is available. 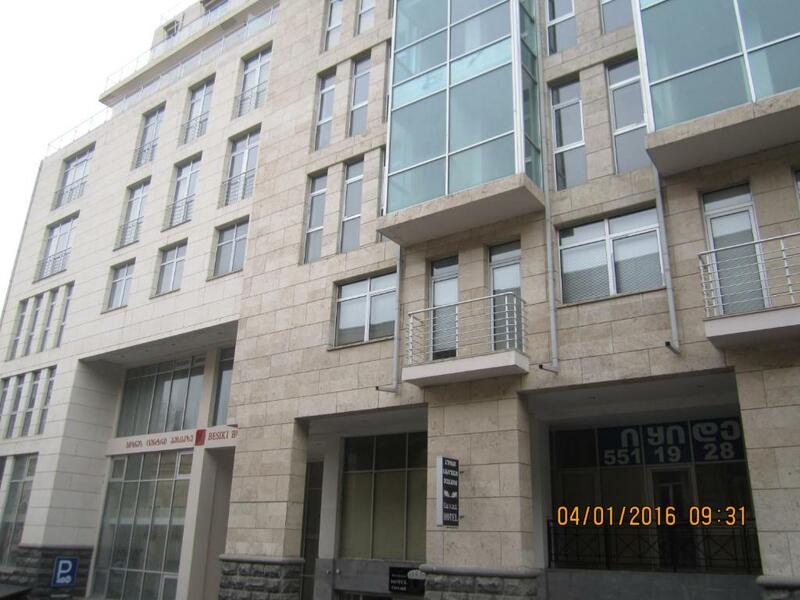 The property is 150 feet from Rustaveli Theater and 800 feet from Tbilisi Opera and Ballet Theater. Accommodations will provide you with a TV, air conditioning and a balcony. There is a full kitchen with an oven and a refrigerator. Private bathrooms also come with free toiletries. You can enjoy city view. If you feel like visiting the surroundings, check out Freedom Square (2,300 feet) and Georgian National Academy of Sciences (2,300 feet).Tbilisi International Airport is located 8.7 mi away. Mtatsminda is a great choice for travelers interested in wine, atmosphere and city walks. When would you like to stay at Apartment on Besik Street 4? Private parking is available on site (reservation is not needed) and costs GEL 20 per day. The apartment is just meters away from Rustaveli Avenue in front of the theatre Rustaveli It is close to subway and entertainment venues and restaurants. I was born in Georgia. Speak Georgian language too. I studied mechanical engineering at the Technical University-Georgian. In practice handles electro-optics. I have a private hi- techs company. I am grandfather of 4 grandchildren. Near the building are Leah entertainment clubs and Casino. House Rules Apartment on Besik Street 4 takes special requests – add in the next step! Please inform Apartment on Besik Street 4 of your expected arrival time in advance. You can use the Special Requests box when booking, or contact the property directly using the contact details in your confirmation. We need at least 5 reviews before we can calculate a review score. If you book and review your stay, you can help Apartment on Besik Street 4 meet this goal. I like the apartment ! It is very comfortable and convenient! The location is good. And first of all I want to mention the host Tamara , who is very carefull and is ready to help you at any time. I beleive lighting was not sufficient and needs to use more powerful lights. It was great when I meet the Host at 3 AM waiting for us. It was infact in the center of Tbilisi and for me was excellent. Tamar (the owner) was very friendly and it was giving you a very good feeling and energy when you arrive. One of the bedroom isn’t a real one. Is just part of the terrace that has been converted into a room, no privacy, no heater and no AC. The staff isn’t honest person. A lot of deceiving.